for $898,900 with 4 bedrooms and 3 full baths, 1 half bath. This 2,173 square foot home was built in 2006 on a lot size of 35 x 103. Beautiful wide side hall colonial. 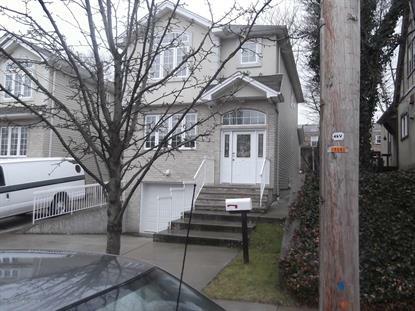 Spacious 2 family detached in the heart of Dongan Hills ABOVE the Blvd. (NO FLOOD INSURANCE) All hardwood floors and ceramic tile in the kitchen, cherrywood cabinets, 2 1/2 beautiful bath, 2 very large bedrooms AND Master w/WIC & full private bath, baseboard HW heat & central air. Apt. has its own utilities.